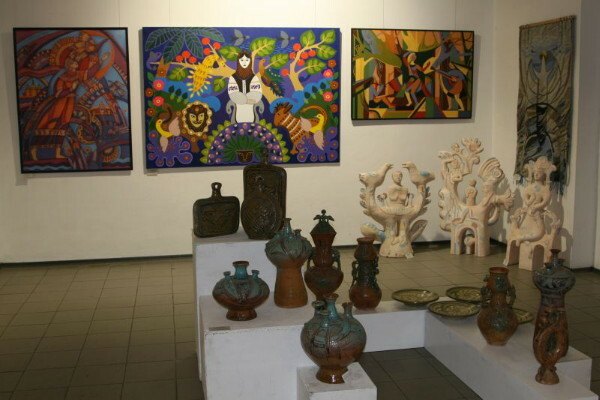 National Museum of Ukrainian Decorative Folk Art [Національний державний музей українського народного декоративного мистецтва; Nationalnyi derzhavnyi muzei ukrainskoho narodnoho dekoratyvnoho mystetstva]. 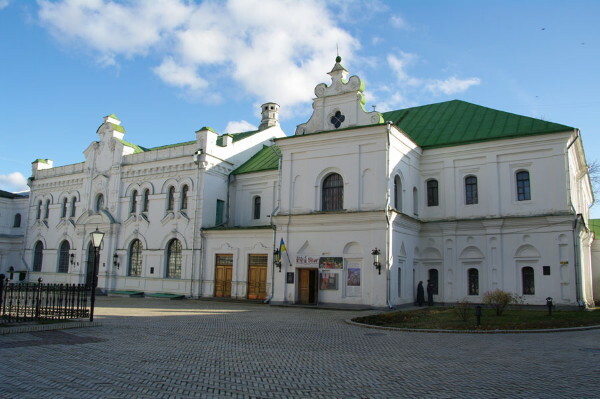 A museum in Kyiv located on the grounds of the National Kyivan Cave Historical-Cultural Preserve, in the former residence of the Kyivan metropolitan. Many of its artifacts were originally in the Kyiv City Museum of Antiquities and Art, which was founded in 1899 and became the First State Museum in 1919, the All-Ukrainian Museum of History in 1924, and the Kyiv Museum of Ukrainian Art in 1936. A branch of the last museum from 1954, it became an independent institution in 1964. 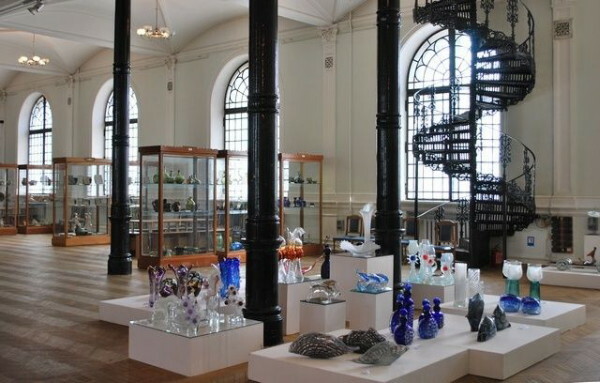 In 2010 it was granted a national museum status and assumed its present name. The museum has extensive collections of Ukrainian artistic folk kilims, printed and woven textiles, embroidery, needlework, dress, wood carvings, ceramics, pottery, art glass, and decorative painting dating from the 15th century to the present. The paintings of Kateryna Bilokur are accorded an entire room in the museum. Also, the museum has the largest collection of pairings by naive painter Mariia Pryimachenko.